The ride-hailing app Uber currently has gross revenue of more than $20 million per week, the company confirmed today, in response to emailed queries about a Valleywag scoop that published charts drawn from an internal global metrics tool. Uber didn’t want that information to get out, and threatened both the leaker and the publication for exposing internal information. 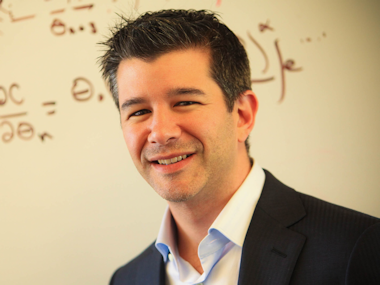 “We obviously take the dissemination of our proprietary information seriously and we will be looking to take action against the individual leaker and Valleywag source in short order,” said Uber CEO Travis Kalanick via email to AllThingsD. While Kalanick’s sensible alternatives included denying or declining comment on the report, he instead essentially confirmed the revenue figures. That said, sources close to the company said the revenue displayed in the chart does not include all Uber services. We don’t know exactly what was left out, but, for instance, tomorrow the company is selling Christmas trees. In some math-guessing, based on the weekly $20 million haul, Valleywag’s Nitasha Tiku surmised that since Uber takes about a 20 percent cut of fares, its annualized run rate based on the leaked screenshot would be about $213 million. However, that wouldn’t describe actual 2013 revenue, since the company did not make that weekly all year. In addition, it has massively expanded this year, especially in the second half, when it went from 35 cities to 60 cities worldwide. The revenue on the sheet obtained by Valleywag appeared to be both global and gross sales. AllThingsD had reported in August that Uber was on track to bring in $125 million in revenue, as of August. Growth has accelerated since those midyear estimates, multiple sources said, but the figure was not the one Valleywag penciled out. We can surmise from the Valleywag chart that in the most recent complete week in November, the company had more than 450,000 active users and about 85,000 new signups. Of about 1.2 million requests, 75 percent were completed, though more than 175,000 people apparently opened the app and saw no cars available. The average gross revenue per completed ride was $24.91. As for the dispute between Uber and Valleywag, Kalanick implied that he was able to track the source of the leak based on information including timestamps and the fact that the visit came from a Safari browser. We didn’t publish any identifying information about the source of the screengrab. We don’t know who sent us that shot, and neither does Uber. As you know from reading the piece, the person who sent us the information got it after an unidentified Uber employee logged into an Uber administrative console from a computer that our source had access to. When we reached out to Uber last night, CEO Travis Kalanick helpfully confirmed the veracity of the information by threatening to claim we “outed” our source by failing to redact the timestamp information displayed in the screengrab. What he fails to understand — or is lying about in an effort to smear a critical reporter — is the fact that the person who provided us that screengrab is not the person who logged into Uber’s administrative console. If Kalanick retaliates against that employee, he will be not be punishing our source.